Sum 41 surprised us today with an announcement for Does This Look Infected? 15th Anniversary Tour. So far all the dates are in US, but we hope the tour extends to overseas this time around. Tickets go on sale on February 15th at 10 am local time. Check Sum41.com for tickets and details. In other news, the band also announced they will be playing at Reading (August 25th) and Leeds (August 26th) festivals in UK. So in other words, Sum 41 will return to Europe for the Summer festivals! Let's hope they bring some DTLI tunes with them! We are excited to announce that the new music video for the Operation M.D. single Little Miss Takes will be premiered exclusively at TheresNoSolution.com this Friday! How cool is that? In the meantime, you can already listen to the song on iTunes, Spotify, Google Play Music and all other digital retailers! To be able to see the video you must be logged in. So try to remember your password, or if you're not a member yet, join now! The video will be posted on a separate thread on Friday, December 8th at 1pm EST (New York) / 7pm CET (Paris). Check TimeAndDate.com to see what time it is in your city. Rolling Stone listed 50 Greatest Pop-Punk Albums of all time, and Sum 41's All Killer No Filler made the list! Check out the list behind the link and find out how good this album really was (Hint: it wasn't #41). I'm positively surprised it got so high! And I'm shocked it was ranked better than American Idiot! For the 10th anniversary of Underclass Hero, Deryck posted a video where he goes through all the layers of Walking Disaster. Check it out! For me, this is the kind of video I've dreamed of seeing. Seriously, one of my dreams has been to listen to Deryck while he goes through the songs like this. Can't remember when I've been this excited watching a video! I definitely hope he'll do more! Deryck and Frank performed at the memorial show for late Linkin Park frontman Chester Bennington last night at the Hollywood Bowl. Check them out playing a couple of songs with Linkin Park! THE CARNIVAL OF SINS IS NOW ABOUT TO BEGIN! That's right, folks! 10 years has passed since Sum 41's 5th studio album, Underclass Hero hit the shelves! For us TNSers, Underclass Hero was very special. TNS was founded in order to have a place for fans to discuss the upcoming album, so UH was the record that got this thing started. At the time, Underclass Hero received a lot of criticism, the most compared to any other Sum 41 release. Both media and the fans were expecting a heavier record after Chuck, and UH was constantly being compared to other albums. It was also the first recording without Dave Brownsound, so a lot of fans felt disappointed. Still, a big part of the fans thought it was their best work at the time, and some think it's their best album even today. How did you feel about Underclass Hero when it first came out? Has your view changed in 10 years? Let's celebrate the most underrated Sum-album by sharing your favorite moments from that era using the hashtag #Underclass10. Share pictures, make a cover for a song of your choice or post your favorite piece of lyrics! Let's show the band that we're doing fine, still after a decade! As you should know by now, Sum 41 is nominated for 3 categories in the 2017 Alternative Press Music Awards. In addition, our very own Frank Zummo will be performing with fellow drummer Adrian Young (No Doubt, Dreamcar). The awards take place in Cleveland, OH on Monday, July 17th. If you can't make it there yourself, you can watch the live stream for free! The red carpet will be streamed live on AltPress' Facebook page, starting at 3:30 pm EDT. The main event will start at 7 pm EDT / 4 pm PDT. That's 00 am BST (London) and 01 am CEST (Paris). Use the Time Zone Converter to determine the starting time at your city. 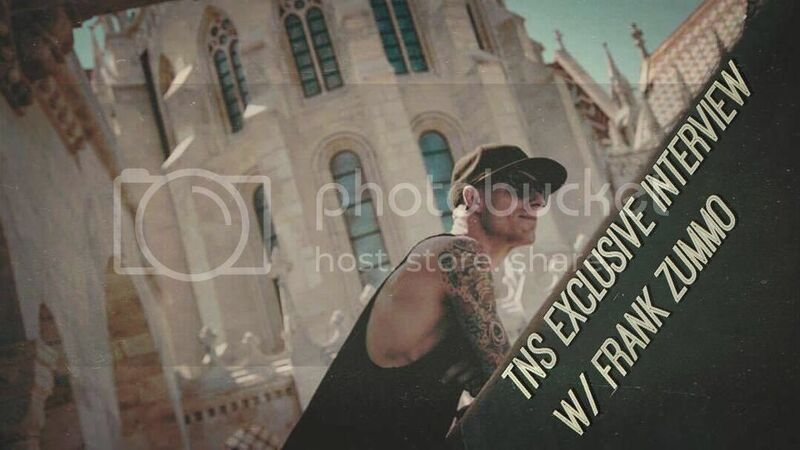 As the voting for APMAs is closing tonight, we shot some quick questions for Frank to answer. But before (and during, and after) reading the answers, go give your vote* for Frank and The Sums at altpress.com/vote! *Use Google Chrome's Incognito mode to vote as many times as you want. 1. Congrats for being nominated at the Alternative Press Music Awards! What does this nomination mean to you? Thank you! It's such an honor, as I played my first show with Sum on that stage 2 years ago. To be coming back with 3 nominations and to be performing for this special "Drum Moment" is insane! 2. You're also performing at the APMAs. What can we expect from that? We start rehearsals soon and we are going to pack as much as we can into 5 minutes and we are going all out! 3. You've been involved in a lot of different projects. How does your playing style vary between Sum 41, Krewella, Street Drum Corps and others? Or does it vary at all? My 3 groups do really suit my style and playing, so I pretty much keep it the same for all 3 groups. 4. You've been touring with the Sums for 2 years now. What has been the highlight so far? Any specific shows, cities? The whole thing has been such a overall highlight. The past European Festival run was the biggest and best shows that I have ever played at! 5. With your connections to Chester Bennington, did you play a part in getting Sum 41 to open for Linkin Park in Amsterdam? Yeah, Chester & LP have been dear friends for many years. I saw they announced the Amsterdam show and I called Chester about us playing and he and the band we're into it. That was an amazing show! 6. How do you prepare for the shows? We've seen you running at a race track and having a rehearsal kit in your dressing room. Are those something you do before every show? I have a 2hr routine before the show that includes: icing, working out, stretching and practicing. 7. Ever since your son was born, you've been touring a lot. Do you ever feel homesick, and if you do, how do you keep yourself focused and motivated on tour? It's been the greatest motivation and he does come out to visit on tour and we FaceTime daily. 8. How do you like to spend your days off on tour? Do you go sightseeing, or would you prefer relaxing at the hotel? I generally lay low, rest and workout. I'll go exploring sometimes as well and try to find some great local coffee shops. 9. Have you noticed any difference in the fans' attitude towards you now that you've been a member of the band for quite a while compared to when you started? They honestly have been amazing since day 1 and so supportive! 10. What's your favorite Sum 41 song to play live? I really loved playing "A Murder Of Crows" on the 9 week Euro Run! 11. When you started in Sum 41, you had to learn almost the full catalog of their songs. Was there a song that was more challenging to learn than others? It was all challenging due to learning the entire catalog and also learning the live versions. 12. The band has really stepped up their game production wise. Which element of the live show is your favorite one? 13. Before you joined the band, the band rarely used any tracks or drum machines / digital drums live. Did you play a big part in adding those instruments to the live setup? Yes, I really wanted to bring in that element and fire sounds from the records live. 14. How did you feel about singing parts of Fat Lip live for the first time? Have you done any vocals live before with your other projects? I've yelled and rapped in bands before, so it was comfortable and my old cover band in high school use to play "Fay Lip"
15. A lot of the drums on 13 Voices sound completely different compared to anything Sum 41 has ever done before. How much input did you have on writing those drum tracks and finding the right sound? Deryck and I worked for a very long time getting all those drum parts worked out. 16. How do you build your Sum 41 drum set? Do you have full control, or does Deryck or your sponsors have a say? I will have a vision and bring it to SJC Drums & we also brought artist Shepard Fairey into the mix and it's been great! 17. What do you do when you're not on tour? I guess all your projects keep you busy? Is it hard to find time to spend with your family, or are you having a good balance? Family 100%! I've also been working on my house a bunch. 18. You have your own clothing line, Zummo X. Tell us about that. What gave you an idea/inspiration for it? My buddy Eli James started Ghost Circus and he's a drummer and wanted to create clothes that were comfortable but looked amazing. I took notice and jumped onboard and then we decided to do a collaboration together and it's been really fun. We now have a kids line of shirts as well. We thank Frank for doing this, and we hope* for the best at the APMAs! Calling all the Skumfuks, WE NEED YOU NOW! The band has reached out to us to help them win some awards at the Alternative Music Awards next month! The nomination is very important to all of them, especially for Frank, who lost his father earlier this year. His father had a huge influence on him, and he was part of the reason Frank picked up the drum sticks in the first place. Winning this award would mean so much to Frank, so he asks for all the Skumfuks to help him with this goal. Let's not disappoint them! Pro tip: Using Google Chrome's Incognito mode you can vote as many times as you want! Music video for Goddamn I'm Dead Again was released today! It was filmed a month ago in Los Angeles area with bunch of superfans joining the set. Check it out!